The breeding season has now begun as the birds return to their favoured nesting sites in the UK after wintering in southern Europe. Environmental Consultancy NBC Environment is urging organisations to take action before it is too late to stop the annual influx of gulls. The population of gulls in the UK is increasing rapidly. Rooftop nesting has quadrupled over the past 15 years as birds bring the previous year’s offspring with them to the same sites and multi-generational colonies grow. Year on year, related issues* increase too as nesting colonies become established and the eggs hatch from late May onwards. In February, issues around gulls were raised at Westminster for the first time since David Cameron called for a “big conversation” about gulls in 2015. MPs from communities across the UK including Plymouth, St. Ives, Cheltenham, St. Austell and Newquay, and Aberdeen, debated what measures could be taken to address the various problems that can occur when nesting sites are established alongside humans. 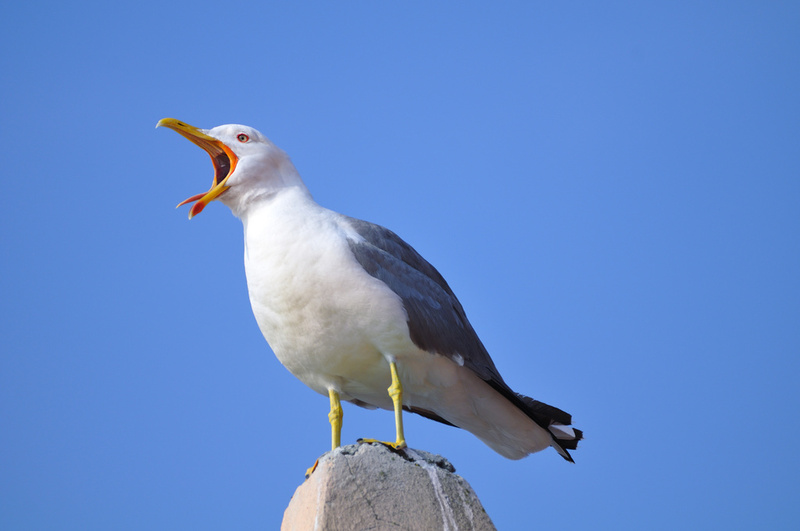 There’s no denying gull attacks, along with the noise and mess the birds create, are a very real concern for businesses and public sector organisations alike. Although there have been growing calls for a cull, all UK birds are protected by law under the Wildlife and Countryside Act of 1981**. NBC Environment advocates humane methods, such as the use of egg and nest removal and falconry to modify the birds’ behaviours. These non-lethal tactics are designed to encourage gulls to set up colonies in more appropriate habitats where they are less likely to come into conflict with humans. John Dickson explains: “We work hard to balance commercial and public safety objectives with ecological responsibility. It would be entirely wrong to characterise gulls merely as pests. Rather, the problem lies in where they are choosing to nest. This impacts both the public and private sectors. Over and above the damage to property, organisations could potentially take the brunt of any litigation from anyone who suffers ill-health or injury on account of gulls, for example as a result of aggressive behaviour, or a slip on faeces. What’s the risk of Histoplasmosis? How can gulls be discouraged?